Can broken promises ever be made whole again? After her parents die in a car crash, four-year-old Nicole is raised by staunch grandparents, where toys are sparse and love even sparser. But when the boy next door sticks his head through the hedge to say hello, Nicole learns that life is more than just routine, and as the years go by, they form a bond of love that nothing can break. Will wants nothing more than to be with Nicole forever. But when he finds himself faced with a difficult decision and sees no other option, he must break his promise of forever to the woman he loves in order to be the man he can forgive. 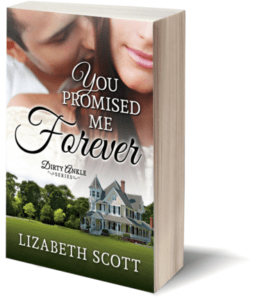 With time unable to heal unseen wounds, do Nicole and Will have a second chance to make good on their promise of forever? Nicole counted her steps. Each morning she was required to take in the morning air while strengthening her constitution by walking in the backyard. Two hundred steps down the hedge on the left, three hundred and sixty-seven steps across the back and two hundred and ten steps up the right-side hedge. Then she would turn around and begin her counting all over again until her grandmother called her in. On the third lap she heard a rustling noise in the hedge. Then on her one hundred and fifteenth step, a head poked out of the hedge, stopping her in her tracks. A head with a mop of shaggy brown hair that kept falling in its owner’s eyes popped through. Nicole giggled as he tried to blow his hair away from his face, not even bothering to use a comb or to even run his fingers through it to keep it out of the way. His eyes were dancing with mischief and were so blue they gave her shivers. Nicole eyed “her boy” from next door. “I’m taking my morning constitutional.” She’d never heard his voice and thought he sounded rather childish. “Con-sti what?” The boy started to crawl out of the hedge, but Nicole stopped him by pushing on his shoulders with her hands. “No, please…stay back. We have not been properly introduced, and my grandmother would not approve.” Nicole glanced anxiously towards the house, glad she didn’t see her grandparents at the windows. She knew it was wrong to speak with the boy, but she desired more than anything for just a few moments with him. “That name’s a mouthful. How old are you, Nic?” William dropped to his knees and began digging in the dirt at the base of the hedge. “Nicole,” she corrected, and cringed when his khaki shorts touched the ground, grinding dirt into the knees. “And it’s not polite to ask a lady her age, but I will tell you anyway, William. I’m eight years old.” Nicole was fascinated with his earnest digging. He seemed not to mind the dirt on his hands or under his fingernails. Grandmother would have one of her spells if Nicole came in with dirt on her hands. Who is Liz Scott? A voracious reader, full-time writer wanna be, wife, mother, and PA to two terrier terrors, Powder & Moxie. 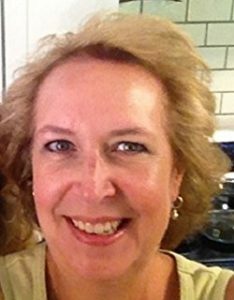 Liz is the author of The Royal Vow and Hearts of Gold Series and a Carolina girl who loves sand between her toes as frequently as possible. Liz is also known as GumShoeMom on the Geo-Caching circuit.